Coronary heart disease (CHD) remains a major cause of human mortality and morbidity worldwide. Classical risk factors for atherosclerosis fail to account fully for the wide variations in CHD prevalence and/or severity between differing populations. The search for hitherto unrecognised risk factors has recently focused on the potential role of chronic inflammation and common infections. 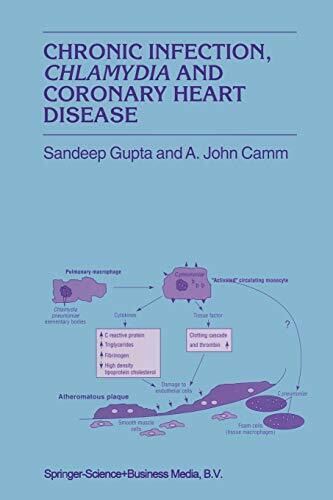 Chronic Infection, Chlamydia and Coronary Heart Disease is the first book to review the wealth of evidence linking various infective agents with CHD, focusing particularly on the proposed pathogenetic role of the main candidate microorganism, Chlamydia pneumoniae. Written by two leading investigators in the field, the book provides a concise, clearly written and up-to-date account of the diverse lines of evidence - seroepidemiological, pathological, animal and in vitro data and clinical antibiotic trials. The possibility of an infective basis to atherosclerosis and CHD has already attracted much scientific interest. Chronic Infection, Chlamydia and Coronary Heart Disease highlights the key published works on the topic, and concludes with information on existing, ongoing, and future lines of enquiry.